“Mann Co. acquires Blood Eagle assets in landmark sexual harassment case”. 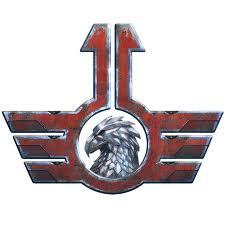 HEADLINE: Mann Co. acquires Blood Eagle assets in a landmark sexual harassment case. Diamond Sword purchase excess BLU mercenary surplus as part of settlement negotiations. In a press conference held today with Saxton Hale, CEO of Mann Co., the landmark harassment case was discussed involving the acquisition of resources held by the Blood Eagle Clan. Reports indicate that Blood Eagle tribesman references Saxton Hale as a “girly wuss”. Mann Co. replied by allowing Mr. Hale to airdrop in to an unknown battlefield while wrestling with poisonous cobras that caught fire during the freefall. 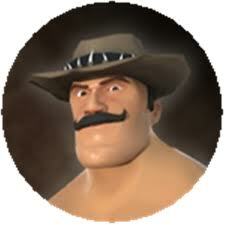 After using the now charred snake skins as replacement hat bands, Saxton proceed to “Beat the crap” out of a tirbesman who referred to himself only as “a pathfinder” upon finding out that the tribesman’s only job was to “run away”. Tribal warriors still seeking to remain actively employed have been offered temporary mercenary positions within Mann Co. pending a probationary period. Negotiations were vicious, but a court appointed mediator assisted with the dealings before running away for “undisclosed reasons”. More reports will follow upon Mr. Hale’s return from a gorilla punching expedition currently scheduled for Friday. 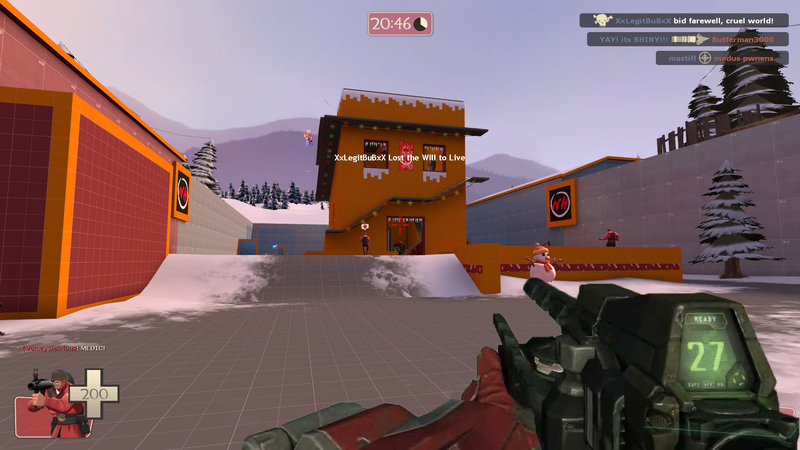 Okay, that was fun and all, but I don’t think it’ll ever get approved by the TF2 or Tribes communities as a whole. But hey, it’s fun to play with photoshop. Regardless, this isn’t what I’m posting about today. Instead, it’s about cross training. Yes… Cross training. And not the dumb kind that involves shoes, or exercise, or any legitimate effort. Screw that noise. Instead, I speak of cross training of the video game type. I have been heavily involved with two FPS games over the last couple of years. Team fortress 2 and Tribes. We already know that I’m a filthy sand raker (Though Blood Eagle is quickly gaining steam in my book for some reason), but when it comes to TF2 I’m never quite sure if I’m more of a BLU or a RED fan. Both are awesome, BUT, unfortunately, (because I’m usually a blue team kinda guy), RED is taking the lead because BLU uses dumbass apple style products. If there is one thing I stand by, it’s that fact that I CANNOT stand anything the supports the Apple mindset, culture, or mentality. iScrew iThat! ahem… back to the topic at hand. I’ve been playing these two games. 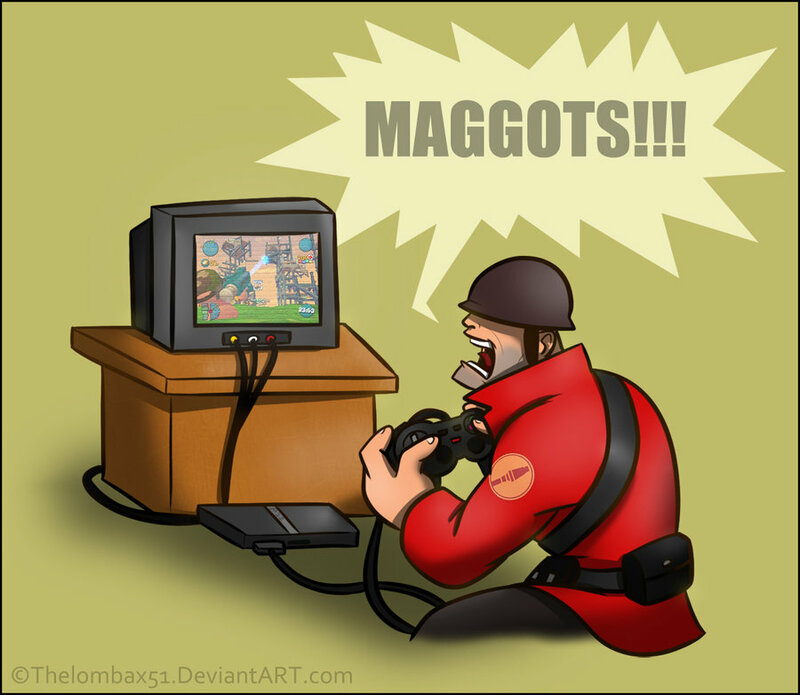 I’m usually a medic or an engineer type when I play Team fortress. Not a lot of aiming required and I can let the machines do most of the work for me. I like that. Not a lot of skill, and plenty of time to look good while I help others on my team. Yay for being a team player, right? Right! TEAMWORK! (Queue up some Tenacious D right there). Now, in tribes, I started as a soldier because I didn’t wanna be a heavy, and pathfinding wasn’t my thing. So, I spent my time and I learned to shoot at people. I then unlocked technician (I’ve been playing since early beta) and found that I really liked this class. 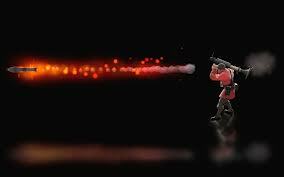 Turrets are awesome but I’m still HEAVILY involved in actually shooting at people. I worked on my aiming skills. Thumpers? *giggles*. Yes, I do love this weapon. I’ve learned to shoot. I’ve learned to aim. And I’ve learned to lead my shots and actually hit stuff. This is something that I had never really learned how to do in Team Fortress. I just could never quite figure it out. My shots were “too slow” in my opinion. I’ve gotten good with the spinfusor again and my thumper is warm from use. I’ve gone fast, I’ve dropped turrets, I’d repaired generators, and I’ve shoved grenades down the throats of more brutes than I can care to count. It’s been glorious good fun. Anywho, I fired TF2 backup again today after being in tribes for a little bit during the last week or so. I sat down and picked soldier since there were too many engineers on my team. I saw the scout screaming across the screen in the distance (They really aren’t THAT fast ya know.”, and I let a rocket loose. That scout just took a rocket to the friggin FACE! Suddenly, after spending WAY too much time with a spinfusor in my hands, I could aim and shoot rockets. This is new. This is exciting. This is reason to giggle as I proceeded to run around the server and shoot people in the friggin face. I’m not any good with a sniper rifle or even with the knife of a spy, but when it comes to rockets and pipe bombs of a demo man… I’m freaking dangerous! I enjoy many games. These two are my current favorites. And while I didn’t expect to get any better at one because I played the other, I found that the unexpected side effect resulted in way more than I could have hoped for.